Decorating can be difficult. Not everyone has a natural eye for home décor, and if you fear you may be lacking in that particular skill, don’t worry. When you work with custom home builders in NC to design your new home, your interior will be like a fresh canvas to develop as you please. Even if you don’t wish to hire an interior decorator, you can still achieve the look you want by avoiding these 5 common home decorating mistakes. Wrong-Sized Furniture. The furniture you choose has the biggest impact on the interior décor of your home. Choosing items that are too big or too small for the space can make a room look all wrong. Before you shop for furniture, measure your rooms to be sure you know what will fit and what won’t. Bad Lighting. Too much light or too little light can be a problem for any room. Think about the purpose of the room and design the lighting to be functional and to set the right mood. Dimmer switches are ideal because you can brighten the lights when you need more light and dim them when you want a softer atmosphere. Misplaced or Improperly-Sized Rugs. A rug that is too big, too small, or out of place can ruin the décor of a room. The living room rug should be the size of the seating area only. A dining room rug should fit the size and shape of the table, leaving some room around the edges for chair legs to remain on the rug even when pulled out for seating. Foyer rugs or hallways runners should lay in the direction that traffic moves naturally. Wall Art Too High or Too Low. Any wall hangings, whether framed or otherwise, should be at average eye level (between 5’3 and 5’8). Art that is misplaced will look awkward and feel awkward to view. Everything Matches. When everything in a room matches too well it can make the room look monotone and boring. Mixing and matching colors and textures, using accents such a throw pillows, will create a complementary look. Too much contrast can make the room look scattered and disorganized though, so be sure all items come from a similar color palette. The builder’s job is to design and build homes from a structural standpoint, including the layout and features of your home. 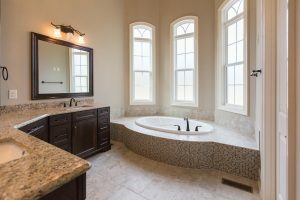 In addition, custom home builders in NC with years of experience like the team at R&K Custom Homes can offer suggestions from an interior décor standpoint as well. Working with many different customers and building a variety of original homes gives R&K extensive knowledge of varying styles. Choosing wall colors, flooring materials, cabinet colors, and countertops are all part of the décor in your home. Knowing the look you want to achieve is important when selecting these items. Avoid the 5 mistakes above and you’re sure to have a beautifully decorated home that you’ll still be happy with for years to come. Call R&K Custom Homes to get started on your new home today: (336) 643-3503. Whether you are looking to add value to your home or to indulge for yourself, the master closets built by R&K, a premier custom home builder in the Greensboro area, can be personalized to your tastes, incorporating personal touches such as shelving and custom vanities. Build to organize your closet. According to Organized Living, closets are the second most desired feature in a dream home, and are used twice per day; therefore, you should have your closet exactly as you want it to make it organized, pleasing, and comfortable to your specific style and taste. When it comes to building your dream master closet, think about custom shelving to organize and categorize your belongings. A builder may suggest top shelving be fourteen to sixteen inches in depth to store large items overhead. By adding accessory drawers and shelving directly in line with where the master closet door opens, this will create an open-layout feel. Placing a mirror at the top of this will provide the appearance of a larger space. If you decide to add shelving for shoes, consider flat lay and slanted shelves to accommodate your heels. To make your dream master closet pop and add a bit of luxury, build a vanity or dressing table inside of the master closet. Be sure that your closet has plenty of light or add proper lighting if needed. The benefits of having your vanity inside the closet is that this will keep any clutter out of sight, it is convenient to your dressing routine, and you can enjoy the privacy of being in the closet space instead of possibly crowding the bedroom or bathroom while you dress and apply makeup. Think about additions to enhance your master closet. Once you have decided on the custom built shelves and vanity, think about other additions to bring your dream closet to life such as lighting, décor, and a sitting area. Proper lighting will be highly important to see everything in the closet, especially if you are dressing in here. Adding a rug or using a couple of shelves to decorate on will allow your personal style to show through and make it feel more like its own room. If you have some extra space, try adding in a chaise lounge sofa or an upholstered sofa bench. 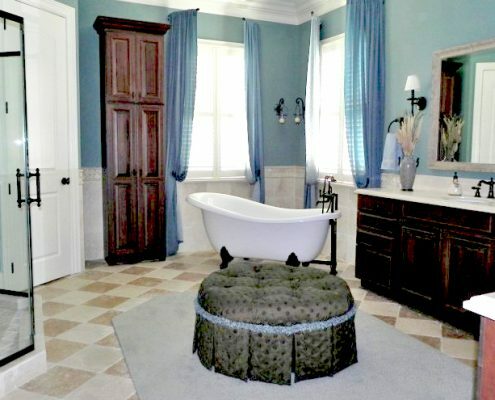 Trust R&K, the experienced team of custom home builders in NC, to make your home beautiful. Call for a free consultation (336) 643-3503. Whether you’re relocating to the Greensboro area or you’re looking to upgrade to a new home and neighborhood, it’s important to consider the schools in the area if you have children or ever plan to. Northern Guilford County is becoming a popular area for families and young couples for whom schools are a priority. If you want your children to have a top-notch education, consider homes for sale in Oak Ridge, NC. Oak Ridge Elementary. According to niche.com, Oak Ridge Elementary has an A- rating and is ranked 11th among Guilford County public elementary schools, where 31 of the total schools received at least an A or B rating. Ratings are based on student to teacher ratios, test scores, and parent reviews. 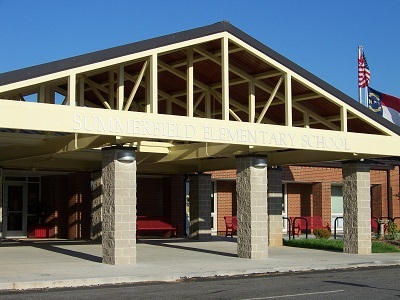 Summerfield Elementary School. Nearby Summerfield Elementary also received an A- rating and is ranked even higher on the list at number 4 due to its students’ excellent test scores that show 72% proficiency in both reading and math. Northern Elementary School. Summerfield’s neighbor, Northern Elementary, is also high on the list in 9th place. Another A- school, test scores show just a slightly lower proficiency percentage than Summerfield. Northwest Middle School. Another A-rated school, Northwest Middle is 7th of the 13 top-rated public middle schools in Guilford County that received a B or better rating. Student to teacher ratios of 17 to 1 and test scores of 67-68% proficiency in reading and math helped Northwest Middle to achieve its high accolades. Northern Guilford Middle School. Nearby Northern Guilford Middle is ranked just slightly higher than Northwest Middle, though the statistics are nearly identical. Student ratio is also 17 to 1 and test scores show a proficiency of 61-64% in reading and math. Northwest Guilford High School. Consistent A- ratings continue with Northwest Guilford High, making the entire progression from kindergarten to high school graduation a top-notch educational experience. Ranked 5th place out of all public high schools in Guilford County, Northwest is an excellent high school that thoroughly prepares students for the next step, whether college or a technical vocation. Northern Guilford High School. Nearby you find the next best high school on the list, Northern Guilford High School at number 6, with an A- rating as well. Class size is 19 to 1 and proficiency is slightly lower in test scores, though the school remains competitive with other public high schools. As you can see by the rankings on niche.com, the northwest and northern Guilford County area is a superior public school district with top-ranking schools. 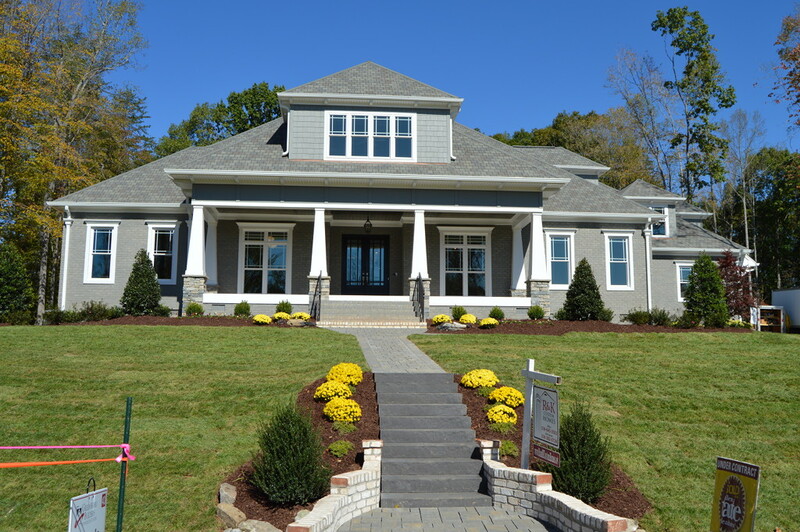 If you wish to build or look for homes for sale in Oak Ridge, NC, contact R&K Custom Homes: (336)643-3505. It’s your haven, your retreat, your resting place—the master bedroom. It may not often be seen by guests, like your kitchen or your living room, but it should still be a beautiful, luxurious room where you can rest and relax. There’s more to a luxurious bedroom than just the size of it. There are windows, closets, ceilings, walls, floors, and more that all come together to make the bedroom your place of solace. 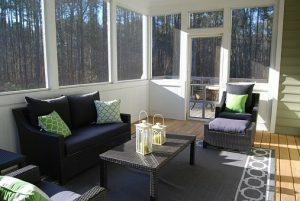 You just need to find the right custom home builders in NC to make it happen. Consider these current trends in master bedroom design. Office Alcove. Whether or not you have a home office, it can be convenient to have a desk and office alcove in your master bedroom. A section of the room with an archway, or a nook off to one side offers a semi-private space to work. Kitchenette/Coffee Spot. For those lazy mornings when you don’t even want to leave the bedroom to get coffee, a small kitchenette in the master bedroom can be a dream come true. Reminiscent of a hotel room, a minibar, wine cooler, drink refrigerator, microwave, sink—whatever you need can be right at your fingertips without leaving the bedroom. Outdoor Access. Imagine French doors opening onto a balcony or sliding glass doors that lead out onto a back patio or deck, possibly to a pool or hot tub. Master bedrooms with exterior doors offer an atmosphere of resort-style living at home. Window Seat. A classic element that never goes out of style, a window seat offers additional built-in seating in the master bedroom. Sit and read while taking full advantage of the natural light coming in. Soak up extra vitamin D that helps battle the doldrums of winter. Wall of Glass. If you’re lucky enough to be building on a home site with a view, consider a wall made entirely of glass to enjoy the beauty of the landscape to the fullest. Glass is now engineered to allow you to see out without letting others see in, so you won’t need blinds or shades. Elaborate Ceilings. Vaulted ceilings aren’t just for living rooms and foyers. Make your master bedroom feel even more spacious with higher ceilings. Ceiling beams achieve a grander look and skylights let in more natural light. Give your master bedroom some character by giving special attention to ceiling design. Closet and Storage. A luxurious master bedroom is complemented by a luxurious, spacious closet. 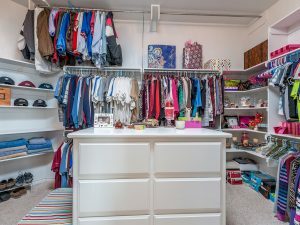 A large walk-in closet or even his and hers closets with organizational features built-in make for a tidier bedroom and convenient access to clothing and shoes. R&K Custom Homes understands your need for rest and relaxation in a grand, spacious master bedroom. 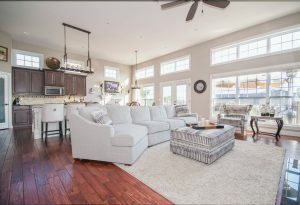 One of the best custom home builders in NC, R&K will incorporate the latest trends and conveniences into your design to give you the dream master bedroom you’ve always wanted. Call (336)643-3503 for a free consultation. Custom home building can be an arduous, yet highly rewarding process. It will require a lot of planning, decision making, and communication. But the final result will be an original home built to suit you and your family. In order to avoid surprises and to end up with a final product you will be happy with, there are some questions you should be sure to ask your custom home builder in NC. 1. What is your average build time? Knowing the time frame to expect for your builder to finish your home is very important. You need to be able to plan accordingly when it comes to the sale of your old home, preparing to move, and other time-sensitive matters. Your builder should be able to give you a fairly accurate timeline to go on with a little flexibility built in for weather or other possible issues that could slow the process. 2. Can design changes be made along the way, and how should this be communicated? As your home takes shape you may see some things you want to change along the way. Be sure your builder is open to the possibility of changes and find out when and how you should communicate these requests. 3. How often should I expect progress check-ins? Your builder should touch base with you at various points in the building process. Knowing how often to expect communication will take the mystery out of things and keep you from wondering whether you should be the one to make contact. Review our building process. 4. How does the cancellation process work? If for some reason a problem arises at any point in the process, it’s important to know your builder’s cancellation and refund policy. It will likely depend on how far into construction you are before backing out. You may have no intentions of cancelling now, but you never know what the future may hold. 5. What kind of warranty will the home have? With a brand new home, there may be some kinks that need to be worked out or even some problems that could arise after you move in. Most new homes have some type of warranty that covers repairs for a certain amount of time, typically one year. Find out what type of warranty your builder offers, how long it lasts, and what it covers. When you have your initial consultation with R&K Custom Homes, you will get the answers to these questions and more without even having to ask. R&K fully informs every potential client about frequently and not so frequently asked questions. You should feel comfortable enough to share your thoughts and ideas and to ask whatever questions you need to feel good about the home building process. R&K wants you to have the dream home you’ve always wanted with no stress. If you’re looking for a reliable custom home builder in NC, call (336) 643-3503 to schedule a free consultation.